People are surfing the web and relying on web sites more than ever to research companies, compare offerings and form opinions about brands and companies. Living in the digital world, a website is now a necessity for a business, big or small. If you have a business and don’t have a website, you are probably losing a number of great opportunities for your business. A website itself can be used to accomplish many different marketing strategies to help your business grow. The web has a far wider reach than any other form of advertising. Increasing visibility is one major factor that makes having a website important. Even if people have heard about your company, they may want to carry out research online first, before entertaining the idea of leaving the comfort of their own home. Websites usually provide a map and directions to company`s shops or offices, for visitors to less likely have trouble finding your location. Another important reason why having a website to represent your business is to give you credibility. A website will not only give you credibility but it will also help to give the impression that your company is bigger and more successful than it may actually be. Websites are also available and accessible 24 hours a day, every day of the year. Because of this, your customers and potential customers can visit your site for support or information about new and upcoming products and services whenever it is convenient for them. Your website will act as an invaluable and always-available resource for information which would otherwise only be accessible during your company`s business hours. Most computer school currently operates a manual way of issuing out information about their services. This system is usually cumbersome for a prestigious company with a large customer base. Customers sometimes queue in lines to make enquiries and make findings about the services rendered, thereby wasting precious and productive time for both the computer school and the customer. Visibility- Increasing visibility is one major factor that makes having a website important. Even if people have heard about your company, they may want to carry out research online first, before leaving the house. Provide a map and directions to your company's shops or offices on your website so that visitors are less likely to have trouble finding the place. Accessibility- A website is online and accessible 24 hours a day, every day of the year. Because of this, your customers and potential customers can visit your site for support or information about new and upcoming products and services whenever it is convenient for them. Your website will act as an invaluable and always-available resource for information which would otherwise only be accessible during your company's business hours. Sales- Your website can sell products at any time. Potential customers are not restricted to business hours. Instead, they can go online and purchase products whenever they want. A website with an online shop can provide a dramatic boost in sales. 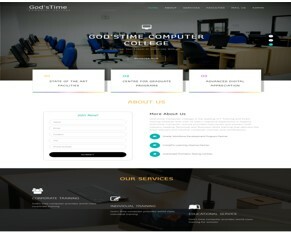 Designing and implementing a website is a broad study, however, all the areas cannot be covered at once, and this work is therefore limited in the automation of the process of computer enthusiasts checking the services and availability of services about a computer school. A website for any business is a significant tool, it will enable people from any point, to search and read about your computer school and get their data easily without any prior experience queuing at the counter. Customers can check availability of all the services offered by this company, call to make enquiries online. To ease off stress of queuing at the counter. Easily locate the business with the aid of Google map integrated on the website. TIME – The time allocated to research work for this study was greatly constrained due to intense academic activities involving the researcher. FINANCE – The major constraints for this study occurred in the form of inadequate funds. The present high cost of material, access to a personal computer unit for running and debugging of the website, transportation expenses to and fro the site of a computer school etc. militated against the smooth and easy advancement of the work. Computer School - refers to resources, companies and services dedicated to helping educate users on computer-related topics. Websites - A website is a collection of related web pages, including multimedia content, typically identified with a common domain name, and published on at least one web server. HTML - Hypertext Markup Language is the standard markup language for creating web pages and web applications. CSS- Cascading Style Sheets is a style sheet language used for describing the presentation of a document written in a markup language. CUSTOMER - a person who buys goods or services from a shop or business. 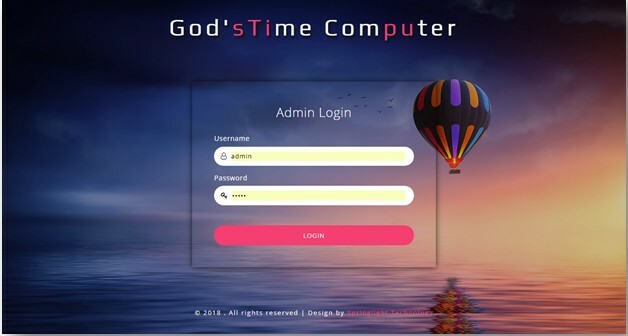 ONLINE - controlled by or connected to a computer. (Of an activity or service) available on or performed using the Internet or other computer network.